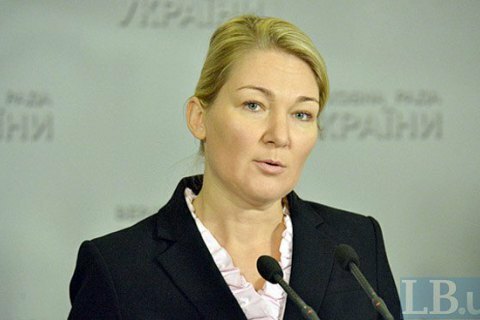 She says Zelenskyy may play football with the association president. President Petro Poroshenko will not hold a public debate with his election competitor Volodymyr Zelenskyy at a stadium in Kyiv as the latter has demanded, propresidential MP Mariya Ionova has said, according to Hromadske. "President Poroshenko is a European and he will not meet at a stadium. He will meet in a TV studio where normal, professional debates should be held. Pavelko (Football Federation of Ukraine president) instead may and play football with him at the stadium," Ionova said. Earlier in the day, presidential election frontrunner Volodymyr Zelenskyy challenged Poroshenko to a public debate on the Olympic stadium in Kyiv and put forward a number of demands.